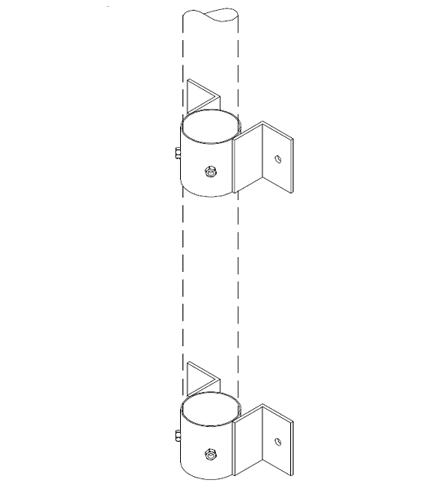 Couple of clamps with angle support for wall fixing, manufactured employing profile and provided for wall fixing by means of dowel (dowel excluded). Column to be inserted and fixed with screws. Employed profiles are steel grade S235JR. Hot dip galvanization is obtained by hot dipping into melted zinc bath.